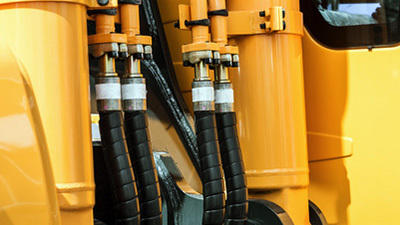 At Metro Industrial & Marine Supply, we specialize in custom hydraulic hoses. We have capabilities for our custom made-to-order hoses unlike any other supplier in the area. Our team can offer up to 2" 1 - 6 wire hydraulic hoses, depending on the needs of our customers. We go above and beyond to meet or exceed the expectations of our customers, providing same day service on most of our custom hoses. We also keep a large selection of foreign adapters in stock, including metric, British, and JIS. We provide industrial and hydraulic hose couplings and adapters. We also provide air, water and oil suction, and discharge hose. Hose assemblies can be made "while you wait" ranging from 1/4 " ID to 2" ID, four spiral, ultra-high pressure and low pressure, crimp fittings, steel, brass, and stainless steel, plus US and metric ends. 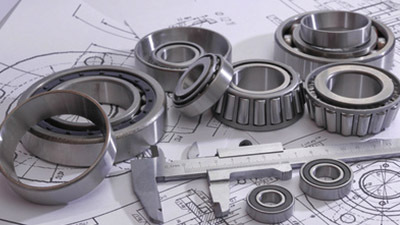 Metro Industrial & Marine Supply also specializes in supplying bearings to all types of industry and applications. We keep an extensive inventory of all types and sizes of heavy-duty ball and roller ball bearings. Our stock includes all major domestic and international manufacturers. Give us a call with your bearing requirements. If we don't have it in stock, we'll order it for you. 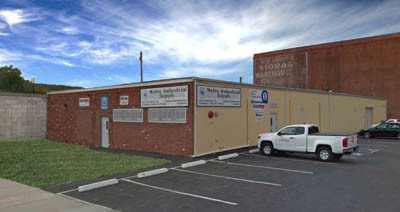 Metro Industrial & Marine Supply has one of the largest New Departure Hyatt (NDH) resource libraries in the United States. Our sales team is very proficient in interpreting and interchanging New Departure Hyatt nomenclature to the available brands. ASAHI, BCA/BOWER, BROWNING, DODGE, FAFNIR, IKO, INA, IPTCI, KOYO, LINK-BELT, MCGILL, MRC, NACHI, NEW DEPARTURE, NICE, NKE, NMB, NSK, NTN, RBC, REXNORD, ROLLWAY, SEALMASTER, SKF, SNR, THK, THOMSON, TIMKEN, TORRINGTON, URB, ZVL, and many more. Our industrial customers rely on us for quality compressors. We are authorized distributors of Atlas Copco and Quincy Compressor products, along with other trusted brands. 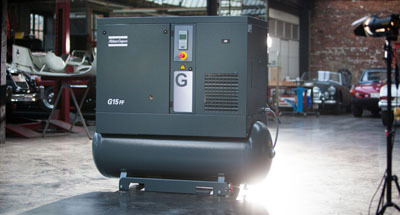 We carry a wide range of reliable, cost-effective compressors, suitable for low, medium, and high-pressure applications. We also sell a variety of replacement parts and accessories. Metro Industrial & Marine Supply can help you find the right compressor based on your industry or project needs. Choose from portable gas air compressors, gas air compressor combination units, rotary screw air compressors, piston stationary air compressors, and electric air compressors to get the job done right. At Metro Industrial & Marine Supply, we can help you with your hard to find marine supplies. If we don't have it in stock, we can order it for you. From commercial fishing supplies to parts, we've got it all at our New Bedford store. Products for maintenance and repairs, knives and safety gear - whatever you need in the way of marine supply, you can get it at Metro Industrial & Marine Supply. Engine parts, hoses and fittings, couplings and zinc anodes, pumps and more. Gear for tuna fishing, longline, crab, trolling, trawling, and other commercial fishing supplies. Our marine supply department is proud to provide quality parts and products to commercial boats and fisheries throughout the Southeastern Massachusetts region and beyond. 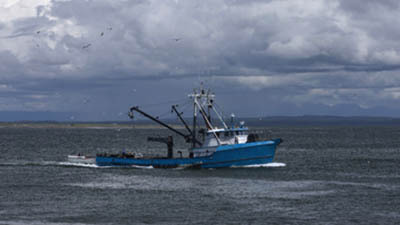 While we serve many different industries, we are well-known for marine supply. In addition to custom hydraulic hoses, bearings, compressors, and marine supply, Metro Industrial & Marine Supply also sells a wide variety of additional products. Industrial supplies, power transmission, batteries and chargers, filters, and much more. Anything you might need for industrial work. Fastener kits and belts, plus assorted hardware items - if you need it we've got it or can get it at Metro Industrial & Marine Supply. Hoists, pulleys, and sheaves. Oil and lubricants. Pneumatic products and power hydraulics. Power washers, regulators, industrial belts, and cam locks. These are just some of the products that we sell. Give us a call or stop by our New Bedford store to see everything that we have in stock. We provide products and services to customers from all over the Southeastern Massachusetts region, and we do a lot of shipping to customers outside the New England area.